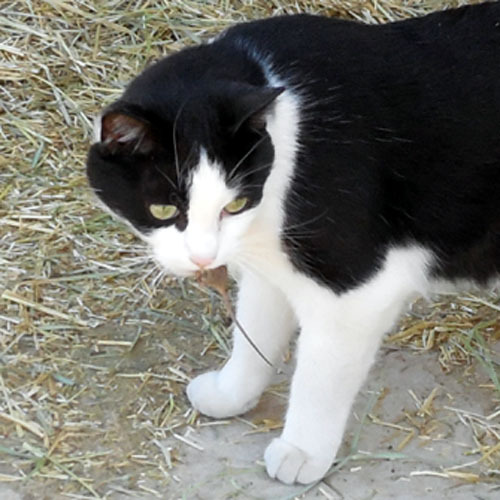 You will recall that we left Harry the Farm cat patiently seeking mousie in one of the pens in the barn yesterday. Did he find the mousie? Harry is one expert huntercat! Harry put the mousie down. It being a mousie - it ran away. I can't say that I blame it! Harry chased after it and for a minute there I thought he was going to lose his mousie! It hid behind the barn door. Harry looked and searched and searched and looked. Well, for Harry. Not for the mousie. He took it further away this time. 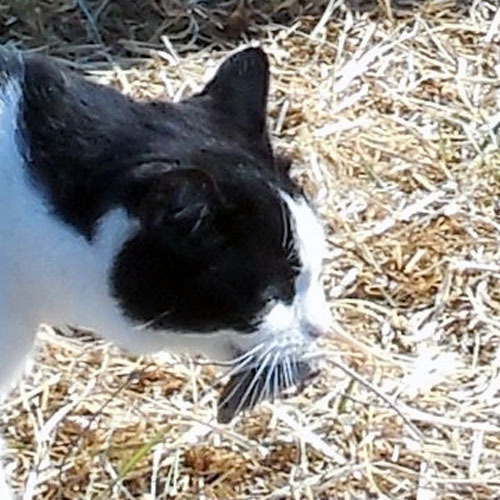 He put it down again because we all know that cats need to play with their prey. Harry and the mousie played at well, cat and mouse. I don't think Harry was expecting THIS! Be sure to come back on Monday for the conclusion to the story!